It’s been many years now since I first experienced burnout – and since I have written about it. I was not – and am not – in the kind of professions that Christina Maslach focuses on in her book Burnout: The Cost of Caring, but I experienced burnout just the same. My works were Tips for Identifying Burnout in Yourself and Your Staff (June 23, 2003) and Breaking Out of Burnout Mode at Work (June 30, 2003). They were part of a weekly column I was writing at the time. I expressed a general sense of what burnout is and some useful tips for getting out of it, but I didn’t have the clarity on the topic that I now have. 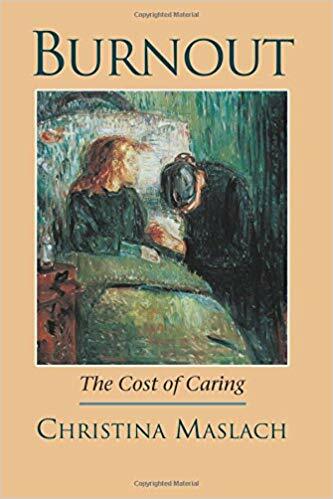 Unfortunately, Burnout: The Cost of Caring doesn’t seem to offer any more clarity than my articles so many years ago. However, there some nuggets to be gained. Most people in IT aren’t labeled with compassion fatigue. They’re assumed to have no compassion to begin with. 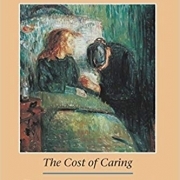 However, in professions such as nursing, psychiatric counseling, and others, the people who start out with a great deal of compassion for others seem to have lost their way and become burdened by that same compassion. What once was the primary gift they wanted to give the world has become the burden that they can’t lift. To some degree, it can be that no one ever bothered to look to see what compassion really was. It felt good to take care of others and receive that recognition that you were being a good girl or boy. As people grow up, they continue to look for that same recognition and find roles or professions where that is designed to be the case. You can go into nursing, teaching, or counseling to be told what a great job you’re doing with patients – or what a noble cause it is. However, compassion is the awareness of desire to alleviate the suffering of another human being. (See the post Sympathy, Empathy, Compassion and Altruism for more.) This is not the benefit that people want from compassion-focused professions. They want a result that involves being recognized for their compassion. The problem with doing compassionate professions in a way that meets expectations is that there is generally no recognition. While working on productions – whether church services or plays – if the technical team did their jobs right, no one noticed. That’s the point. We’d serve in a way that removed the distractions from the performance. When meeting expectations in compassion-based professions, you rarely hear any feedback or praise. Perhaps it’s because there is so little recognition for a job done well, even if the role is vital, that it has made getting meaningful feedback from managers, peers, and subordinates such a big factor in whether people stay in their jobs or leave. However, the larger issue is not whether they stay with a company but whether they stay happy and engaged. I disagree with Maslach about the basics of burnout and how it functions, more in sequence and severity rather than the observations of its results. Maslach says that burnout is defined by exhaustion, cynicism, and inefficacy. However, I believe that the root that allows burnout to grow is perceived inefficacy. That is, observationally in myself and others, I find that burnout has nothing – or little – to do with hard work. Attitude influences whether someone believes that they’re being effective or not – but it’s an influence on the perception of efficacy. So, while burnout – according to Maslach – seems to have three roots, I believe the real root cause is the belief in personal efficacy. There’s a Del Amitri song titled “Nothing Ever Happens.” It’s about the continual monotony of life and our struggle to make it better. The truth is that life is monotony. Wake up, eat, do some work, and, ultimately, go to sleep again. The cycle repeats endlessly. There is, however, inside of us a desire to make our world or our society something better. That desire to make things better distorts our expectations such that we expect that each day will be just a little bit brighter, a little bit less work, and a little easier. So, while we repeat the same patterns, we long to make them different – better. Ultimately, our perceived lack of personal efficacy is the gap between what we expect that we can and should do and the results we see. Change or Die explains that we’re all slightly delusional. We all think we’re more powerful than we are. We believe that we’re better than other people, and we ultimately have more control than we do. Consider that depressed people aren’t viewing the world negatively, they’re viewing it realistically. They have more realistic perspectives on their power and capabilities than their non-depressed contemporaries. Our ego is a powerful thing capable of bending our perception of reality. (See Incognito for more about how our perceptions are important, not objective reality.) However, at some point, even the ego feels the strain of repeatedly having one expectation and not being able to meet those expectations. Burnout is the perception that things won’t get better – because we’re not seeing the results that we expect. The problem when the impacts come too strongly or too frequently is that we’re not able to smooth over the rough patches, and all we end up with is rough times trying to reach our goals. To figure out whether you’re making progress or not, it’s necessary to understand your goals – or not. One of the challenges that face most humans is that they’re not clear about their goals. Their goals are uninspiring and unarticulated like “just to survive another day;” or they’re lofty, poorly-formed, and unrealistic such as “end world hunger.” In both cases, the lack of clarity has a negative impact on the ability to see progress towards the goal. Simon Sinek wrote Start with Why, which explains that we as humans need to know why we’re doing something before we’ll want to do it. Clayton Christensen, James Allworth, and Karen Dillon wrote How Will You Measure Your Life? In it, they seek to focus readers on the things that are important to them in the long term. Books like these – and others – encourage self-reflection to understand what we’re doing and why. It’s these “why” questions that focus us on the ways that we measure progress. Whether we know our why or not, we’ll still measure everything on its ability to move us towards that why. A word of caution about finding your why and articulating it exactly. Robert Pozen shares dozens of life tips in Extreme Productivity, including the expected tips about having a plan and executing against that plan. However, as he closes the book, he admits that the greatest opportunities and successes in his life didn’t come from the well-measured and planned activities. They came from the random things that chance and life brought him. Most of the great people I’ve known didn’t set out to be exactly who they are. Often times, the contributions that people make to society are in the general field that they intended to be in but not exactly where they left their mark. Ultimately, nothing is impossible to get more information about by measurement; it’s just that some measurements are easier than others to make. Some are more accurate – or indicative – than others. Douglas Hubbard explains in How to Measure Anything, well, how to measure anything. If you’re struggling to find a way to measure progress towards your goals, it’s worth a look. Though finding your why and understanding how you’re making progress towards your life goals, it’s important to recognize that whether you can articulate your goals or not, they’re still there. And much like the framework suggested in The ONE Thing, there is generally a why at the heart of each area of your life. Collectively these “whys” make you who you are. Equally important to recognize is that progress in one area of your life may discourage burnout in another area. If you’re seeing great rewards and progress with your children, you may find it possible to withstand soul-crushing work experiences without the slightest hint of burnout. It used to be that employers expected employees to leave their personal problems at home. They were aware that employees were humans with lives outside of work, but that wasn’t what they were being paid for – so it shouldn’t interfere with work. A part of this attitude included that burnout, whatever it might be, is a personal problem – a defect of character – and shouldn’t enter the workplace. This led burnout to be treated in silence and shame rather than being viewed as a business problem. Times have changed. The way that businesses run has changed, because they’ve had to. Employees want to bring their whole selves to whatever they do. They expect organizations to accept and embrace the fact that they’ve got personal lives outside of work. Organizations have learned that employee engagement is a problem that’s sucking productivity out of employees. They’ve learned – some begrudgingly – that an employee’s problem is their problem. Employee assistance programs were developed to allow employees to seek counseling and other services. These kinds of problems were once considered outside of the corporate purview, but the issues addressed by these programs are seen as causing performance problems at work – and thus worthy of employer concern. So we’ve moved from a place where burnout wasn’t talked about or accepted to a world where burnout is a part of the larger problem of a lack of engagement, and it’s something that organizations want to address – cheaply and easily, of course. This is good news for the employee who doesn’t have to feel isolated and alone in their experience of burnout. The bad news is that few people still understand its causes and what to do about them. The heart of burnout is, as stated above, the lack of belief in personal efficacy. However, this is a fine line. There is a level of self-agency that’s required – the belief in the ability to impact the outcomes in your life. However, too much self-agency leads to the belief that you control the outcomes, and therefore when you don’t get the outcomes you want or expect, you’ve somehow failed. Too little self-agency, and you’ll feel learned helplessness. You’ll feel like what you do doesn’t matter. Too much and you’ll be a narcissist who believes that you can get the outcomes that you want in the face of insurmountable odds. To manage burnout well, it’s necessary to manage the perception of personal efficacy such that you believe you have influence on the outcome – but not control. Through a set of unusual circumstances, we’ve decided to put together a new training program titled “Burnout: Prevention and Recovery.” It picks up where this review leaves off – and where Burnout: The Cost of Caring couldn’t go. If you believe that we’re on the right track with this thinking that builds on the work of others but also converts it into something more tangible, real, and addressable, reach out and let us know, so we can keep you up to date on our progress.